The Grounds of Alexandria shone a light on the potential of the inner south. A few years ago, right before Salt Meats Cheese opened to the public, I happened to be there, on the scene, following my nose, which is notoriously good at sniffing out exciting places to eat, shop and drink. I'd been at The Grounds of Alexandria for an interview I was conducting for Good Food and shared the publication's enthusiasm for the area that has gone from strength to strength since I worked down the road at delicious. magazine a decade ago, when the lovely French bistro Bitton was one of the only inspired options in the area. The big formaggios at Salt Meats Cheese, Edoardo Perlo and Stefano de Blasi. After wrapping up my interview at The Grounds, I walked into the adjacent car park, where I noticed a sign for Casa Gusto plastered along the side of a giant warehouse in Bourke St. The vintage-inspired branding intrigued me, so I popped my head in. What I didn't realise at the time was that the runaway success of The Grounds of Alexandria would soon be bolstered by the arrival of these two Italian boys, cousins Edoardo Perlo and Stefano de Blasi. I've decided to feature Salt Meats Cheese because it's one of the places I love to go to stock up on gourmet goods. Edoardo and Stefano are authentic and charming and I believe their energy and enthusiasm has helped give the 2015 postcode the edge as a lively, sophisticated community hub. 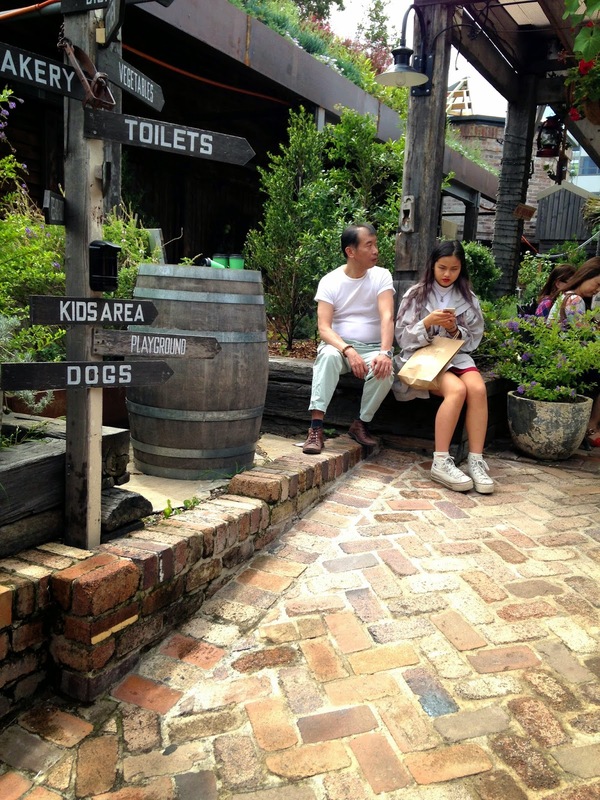 The Grounds of Alexandria has swelled to include a garden, courtyard and eatery bar. It's now a few years since the outlet opened and I've become a regular in the area, dedicating a day or two a month to whizzing into the inner south to stock up on fresh fruit and vegetables at Eveleigh Market, on Saturday mornings, buying bread and coffee beans from The Grounds and bagging a swag of groceries from Salt Meats Cheese, formerly known as Casa Gusto (the name of Stefano's family food import business in Italy). As The Grounds has swelled to include The Potting Shed, a garden, coffee roastery and courtyard replete with clucking chooks and fat pigs, SMC has simultaneously settled into its prime position really well. It's a symbiotic thing between the two spaces. These days, Stefano and Edoardo refer to me as Carla Columbus, as they claim I was the first food writer in Australia to discover them. I'll take that. Like the two cousins, I nail my colours to both the Australian and Italian flags and love the fact the fellas offer old-school deli service my late nonno would have appreciated with gourmet offerings that would appeal to my hip cousins from Milano. The Grounds of Alexandria got the ball rolling in the inner south behind places such as Bitton. 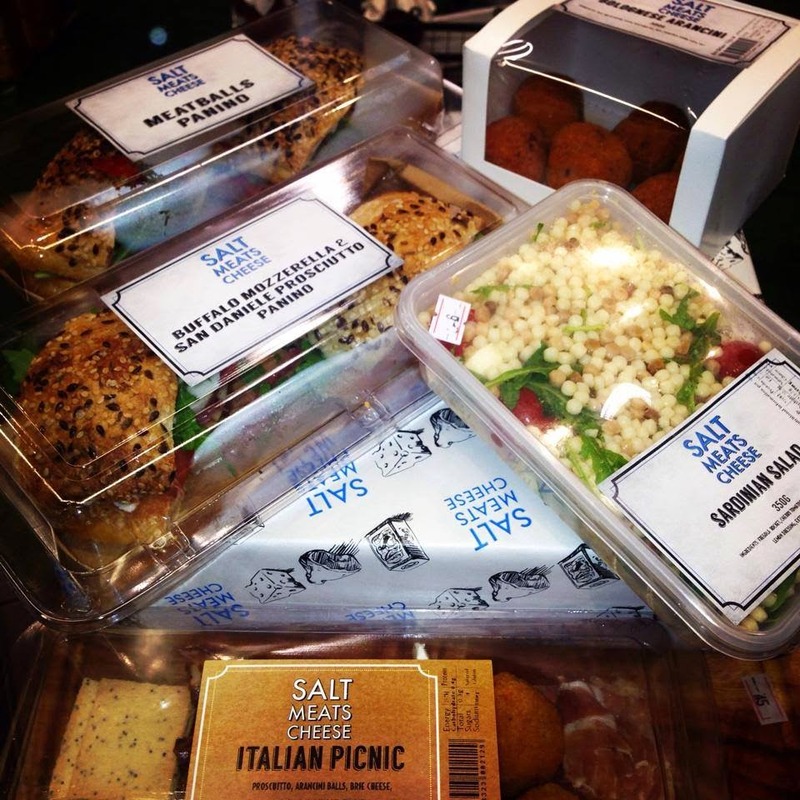 Salt Meats Cheese has morphed from selling dry goods into offering pizza, panino and pasta. On my last visit to the warehouse, I was met by one of the young Italian staffers who ushered me in to perve on the brand-new pasta bar and open kitchen serving pizza and panino. With Sinatra crooning in the background, I was also nudged toward the lovely Salvatore Luigi de Luca, at Cremeria de Luca's pop-up granita counter and urged to try a refreshing lime granita. Salvatore de Luca manning the pop-up granita stand at Salt Meats Cheese over summer. Salt Meats Cheese is like Madonna, the mistress of reinvention. The providore also encourages genuflection at that cathedral of cured meats that is the Galeria de Jamon and a walk down the aisles to choose from a carefully curated selection of gourmet dry goods - from bonfire smoked sea salt to squid ink linguini and a range of quality Australian extra virgin olive oil, flavoured salts and specialty grains. The cathedral to cured meats that is the Galeria de Jamon. As a busy working mum, what also takes my fancy are the meals that help me through the mid-week hump, when I'm juggling deadlines and parenting duties: three pizza bases for $10, which I whip out when I have a house full of hungry boys, as well as a selection of Sicilian olives, hot sauces, proscuitto and cheeses to make entertaining easy. I appreciate that SMC is a one-stop shop, stocking ingredients with accents ranging from Italian to Asian. 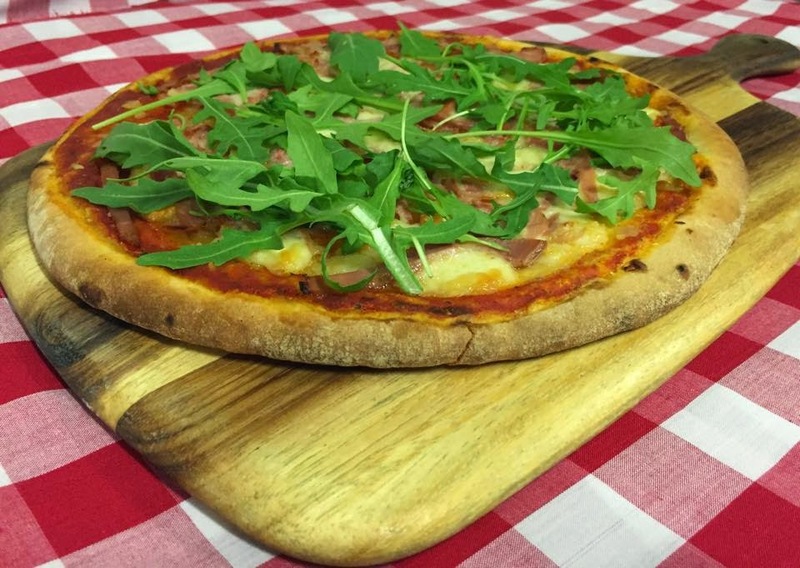 These Salt Meats Cheese pizza bases are perfect for whipping out to feed the hungry hordes. 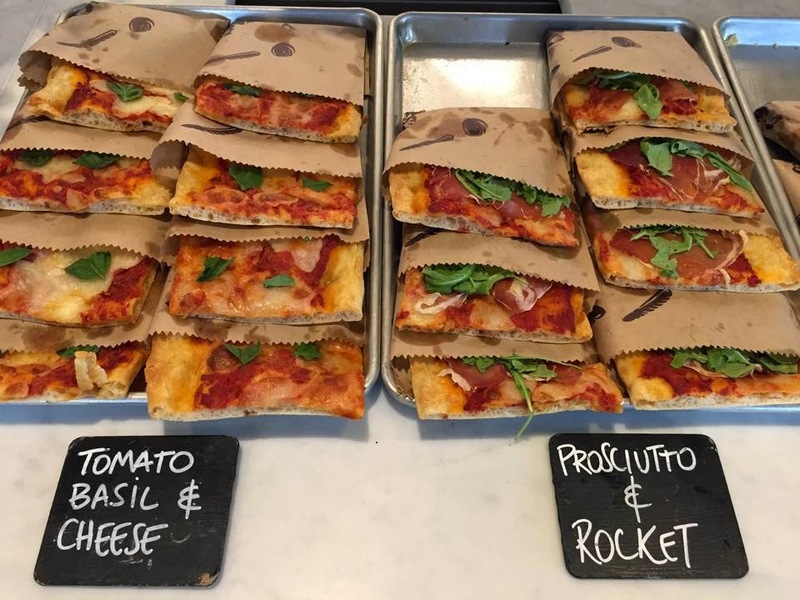 The extended remix of Salt Meats Cheese includes an eatery and pasta, pizza and panino bar. Oh and turduckens, too. 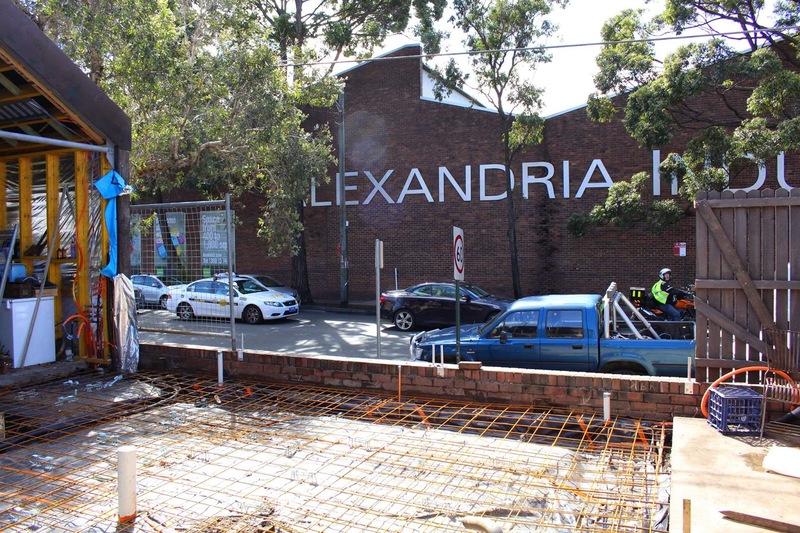 Alexandria ripe for changeWaterloo and Alexandria are both part of the Green Square Village – the City’s highest growth area – and home to 14,802 people. By 2030 the population’s expected to rise to 48,848 residents, a 230 per cent increase thanks to the $8 billion Green Square development. City historian Lisa Murray lives on the fringes of Waterloo, in Redfern, which has also sprouted a swathe of sophisticated new spaces. “As an historian, I’m interested in the past, which is reflected in the changes that are happening in this area today,” Murray says. "The reasons these areas are popular today are the same reasons they were popular when the colonists came here in the 19th century: they are on the fringes of the city, but still far enough away to enjoy an interesting lifestyle. This area used to be wetlands, which in turn attracted industries and, up until the early 20th century, it was a pretty smelly place to live. It has only been the last few decades that the area has started to become a destination in its own right,” she says. 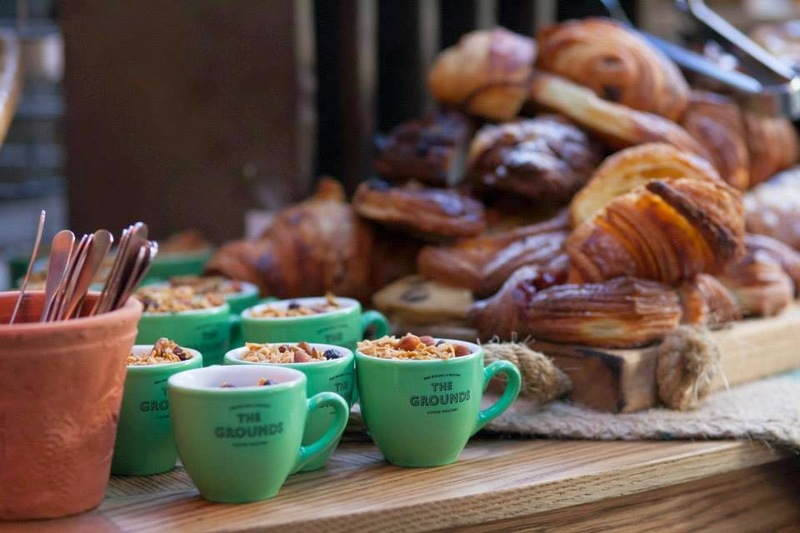 The Grounds has helped transform the inner-south suburb into Alexandria the Great. Deck the aisles with panettone, fah-la-la-la-lah, la-la-la-la. “Cities can never be preserved. Sydney is a dynamic place that is constantly shifting and changing and these industrial-era areas reflect that. 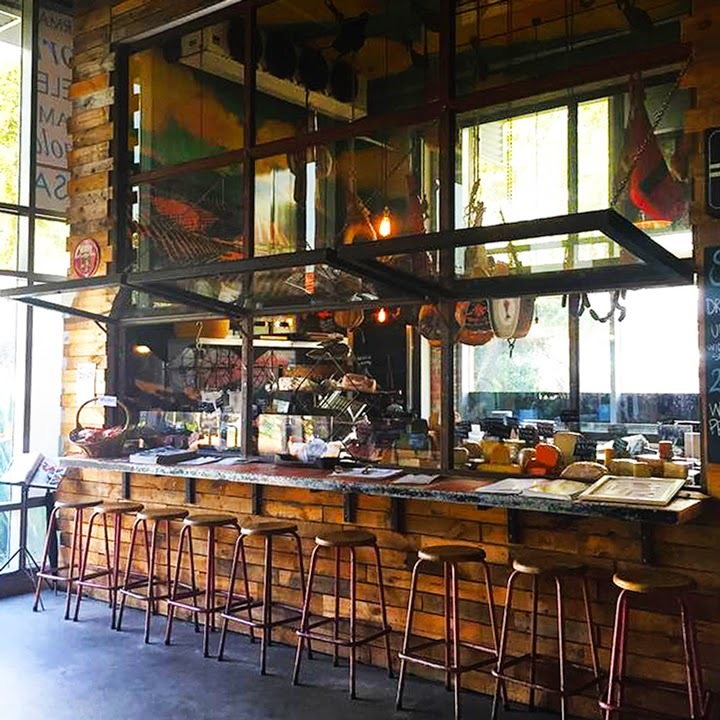 There are more and more cafes and art galleries opening up and little boutiques and that has created momentum. That’s how gentrification works: it’s never about a suburb staying insular,” she says. Murray says as well as connecting the community with the history of suburbs such as Waterloo and Alexandria, her role as an historian is to help develop its future. While this once blue-collar area now attracts it's fair share of well-heeled comers, keen home cooks and A-list chefs, the wholesale prices on the gourmet food items also makes the place accessible for those on a budget. The fact that I can buy quality food items in bulk is reason enough to make the 30-minute drive from Cronulla to Alexandria. Note: lucky locals now have access to the pizza home delivery service on Friday and Saturday nights. Welcome to panini paradise ... at Salt Meats Cheese. Like many of the SMC mafia, I appreciate the fact the outlet is not too lah-de-da and, with its cooking classes, food festivals and special events, is a bit of a lifestyle enhancer, mounting a convincing argument for living on the fringes of the city. 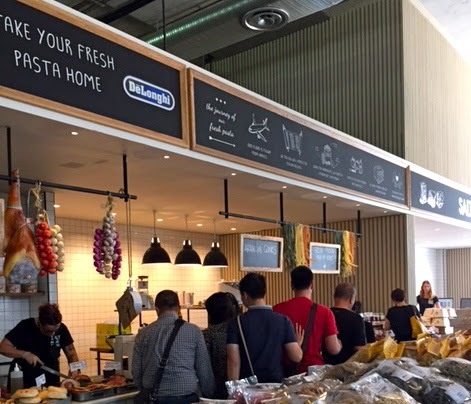 Take your cue from the queues at the SMC pasta bar.